*Note: Oat flower: oat flour is a great nutrition plan since it is gluten free. Moreover, it contains dietary fiber that helps to improve function of the immune system. Once your “oat flour” is ready, add in the banana/date/carob and water and blend/pulse again until a smooth batter forms. 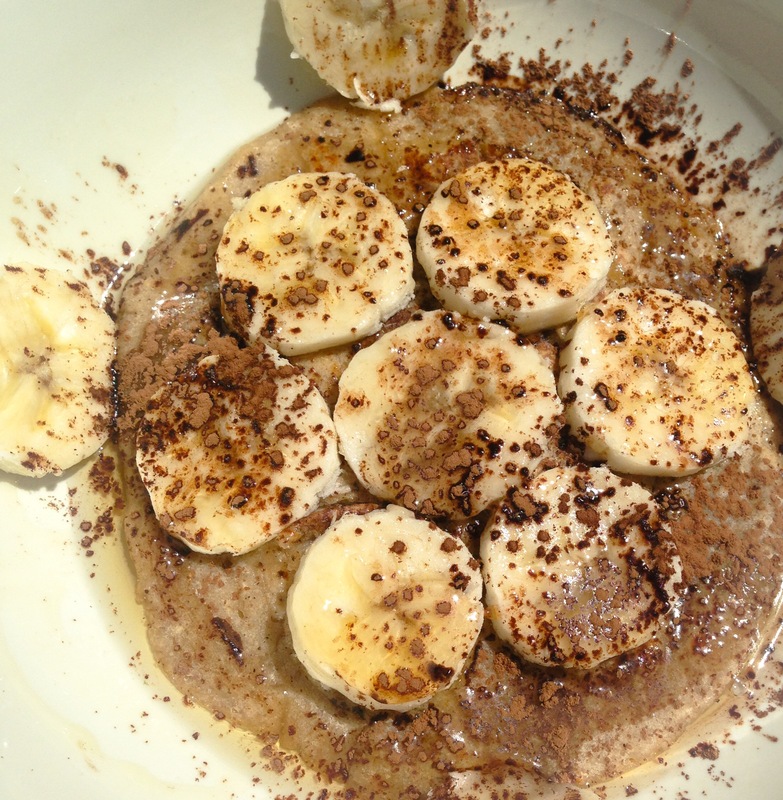 Serve with fresh banana slices and a drizzle of maple syrup or agave and Carob! These look and sound absolutely amazeballs! We have our epic breakfasts on a Sunday so I will make them and then blog about it and tag and link you is that ok angel? !